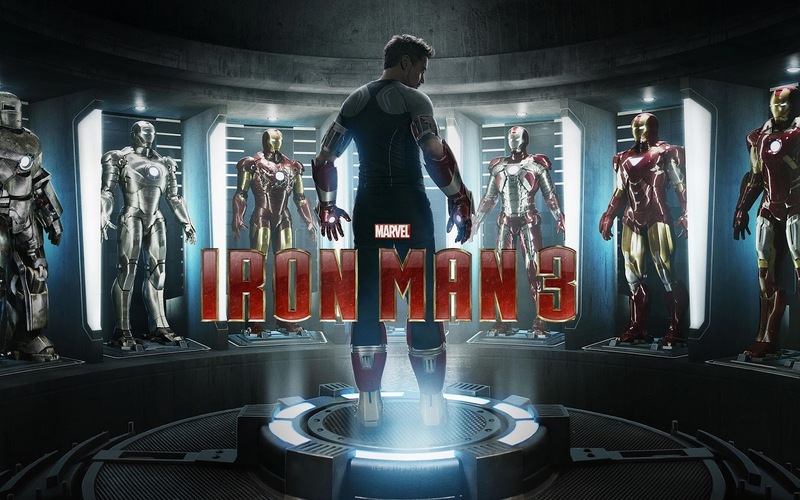 The most anticipated film of 2013: Iron Man 3!  Yeah, this could get pretty EPIC! Director and writer Shane Black, who took over for Jon Favreau following Iron Man 2, had the brilliant idea to fuse two of the most iconic Iron Man elements: Tony Stark's arch nemesis the Mandarin and the Extremis formula (an extreme healing formula that also serves to weaponize users to the point of being a super soldier) in order to create a truly EPIC trilogy ending for Marvel's arguably now most popular character, even ahead of Spiderman. For roughly two thirds of Iron Man 3 it worked to perfection; while the Mandarin rose in the background and Extremis was in development, Tony had to focus on conquering his inner demons and fears from realizing he is a man among gods following the events of The Avengers. 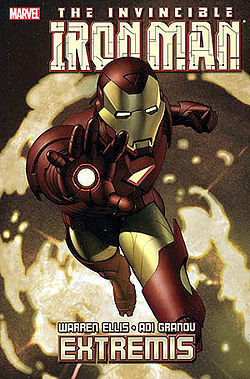 This, combined with the growth of Tony and Pepper Pott's (Gwyenth Paltrow) relationship, serves as the driving force to push Stark's character to discover who he is outside of the armor. Of course Downey's classic one liners were there, but this go around they were not one of the defining elements of the Stark character. please consult the work of Warren Ellis! This film's take on the Extremis story was fascinating; playing with, but maintaining the famous Warren Ellis story much like Christopher Nolan did with many famous Batman stories over the course of his Batman trilogy. 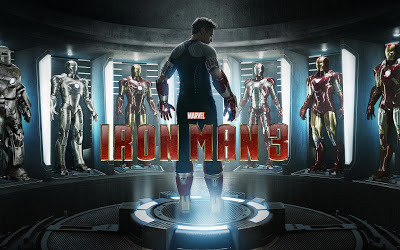 Black's decision to make the creator of Extremis, Aldrich Killian, the primary carrier of the serum and an A.I.M scientist was one that gave Iron Man the non arc-reactor tech foe Tony Stark needed in this franchise. Unfortunately, the supposed primary antagonist of this film, Ben Kingsley's Mandarin, was also unraveled in this process. For the majority of the film Shane Black follows Warren Ellis's Extremis blue print almost to the point of geekgasm and poised Ben Kingsley's Mandarin to become one of the best on screen villains of all time. Then something happened: Shane Black's plot twist was revealed. 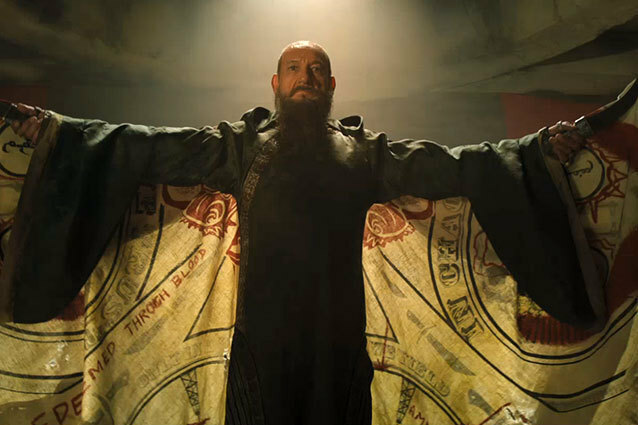 Rather than have the Mandarin be the Bin Laden like terrorist threat that he appeared to be, we learn he is actually actor Trevor Slattery who Killian had hired to play the role of a super terrorist. While this worked in building the Extremis powered Killian's character and plot, it totally undermined the brilliant job done by Kingsley in the first half of the film, because rather than simply using the Mandarin as a figure head for the Extremis terrorist attacks, he was used as poor comic relief. Ben Kingsley's Mandarin could have been one of the greatest on screen villains of all time! Pepper Pott's to the "RESCUE"! 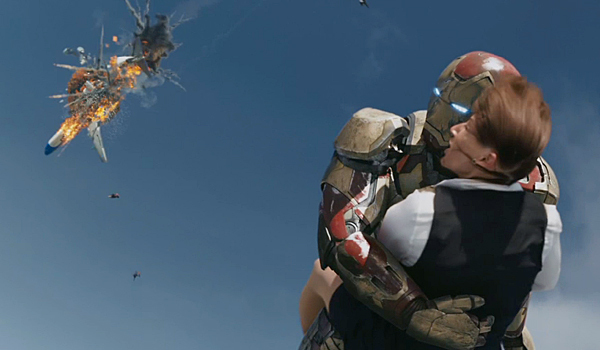 On the other end of the spectrum, one thing Iron Man 3 did really well was develop new and old relationships that served as the central purpose of the film. Happy Hogan is used as a galvanizing force to get Iron Man back into action. Tony and Rhodey/War Machine/Iron Patriot's (Don Cheadle) friendship is used in a different, mystery solving way this go around, and of course Tony and Pepper's love is one of the very effective central themes of the film. While the pay off on those past relationships are there, Black also adds the very intriguing element of giving Tony Stark a child side kick in the form of young boy named Harley (Ty Simpkins) that helps even the brilliant Tony Stark discover new things about himself. could be the best action scene of 2013! As questionable as some of the decisions Shane Black made when writing the second half of this film were, the things the film does well, it does nearly perfect. From the origin of the Maya Hansen (Rebecca Hall) created Extremis at a New Years Eve Party in 1999, to a breath taking action scene involving Air Force One, most importantly Black managed to push and evolve the Tony Stark character into not only the great hero, but the great man that Marvel comic readers have always known he is!